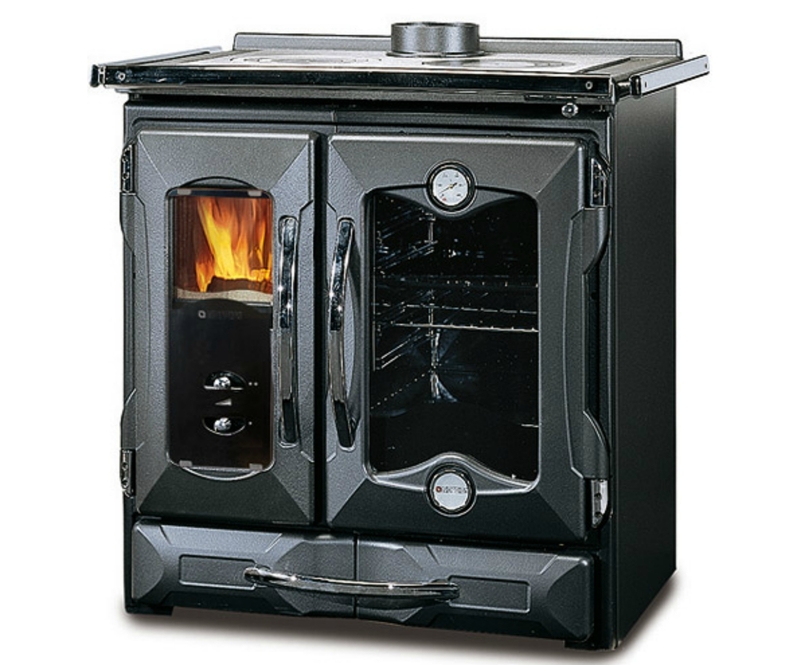 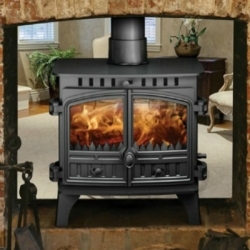 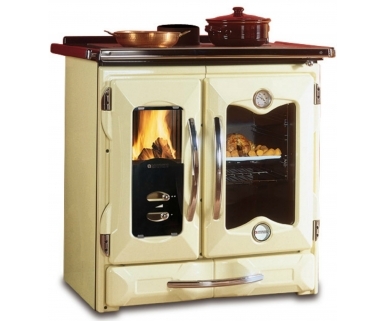 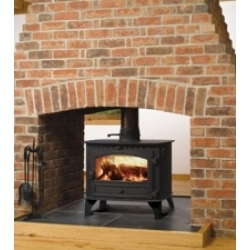 Nordica Mamy: Cast iron woodburning Range cooker with enameled oven and wood drawer. 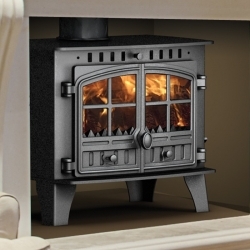 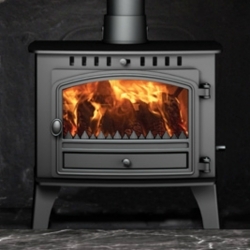 The Nordica Mamy has the following features: Solid cast iron construction, air Wash control (primary & secondary); a chrome fender and removable hob rings. 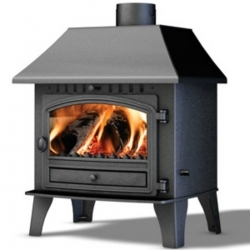 The stove has a practical drawer for storage and a heat control damper for flexibility. There is also a temperature gauge, and detachable insulated hob covers are optional. 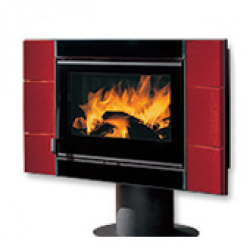 A black model also available - please contact us to order.